Studying learning technology at UT has forever changed my understanding of the relationship between tech and education. From studying how we learn on the internet, analyzing research from a 1:1 iPad school, and looking at how technology has, or hasn’t changed education, my views have become more complex and research-based. 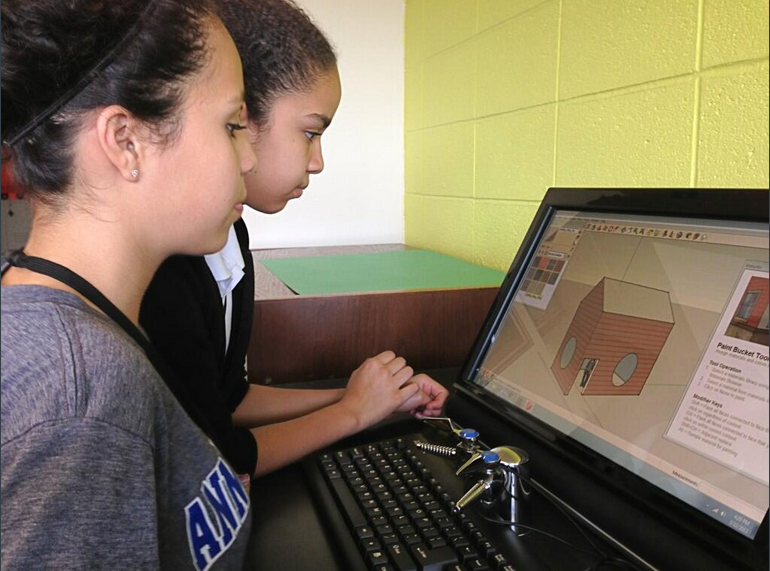 From social media to 3D modeling, everything we do in my classroom revolves around technology. I shared my love and knowledge of edtech with the Ann Richards faculty on numerous occasions. I reported back the latest tech tools from conferences and lead professional developments on our learning management system. When my administration needed guidance on the next steps for our school and technology they consulted me. Now, as a curriculum developer, I hope to inspire teachers around the globe to use technology to transform learning by writing high quality lessons. One of my favorite things to do is share my knowledge with other professionals. These past couple of years I have made it a personal goal to reach out by attending and presenting at meetups and conferences. I presented at the International Society of Technology Education’s annual conference in Philadelphia in June of 2015 and it was amazing!. To see a full list of presentations please see my resume.